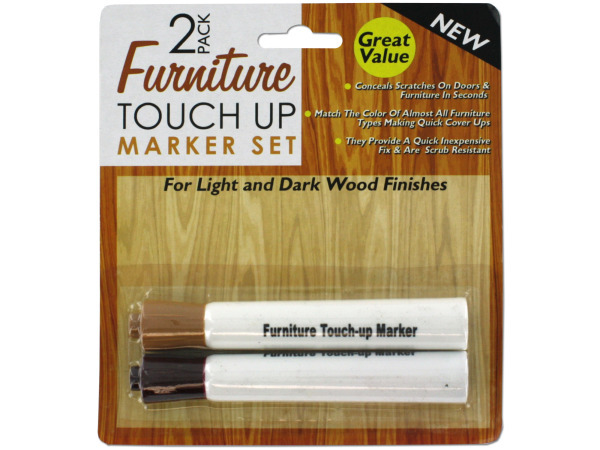 Help conceal scratches on doors, coffee tables, shelves and more in seconds with this 2-piece Furniture Touch-Up Marker Set for a simple and inexpensive fix. 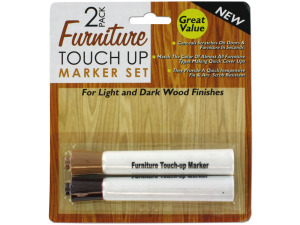 Each pack includes markers for both light and dark wood. Matches almost all furniture types and colors. Scrub resistant. Each marker measures 4 1/2" long. Comes packaged in a blister pack.